How to deploy Spring-boot application in AWS EC2 server quickly? Hello friends today in this tutorial, we will check how we can deploy our spring boot application in AWS EC2 easily. Now a days Spring boot and AWS has got lots of momentum and lots of projects are being deployed in AWS with underlying framework as spring boot. We will today see with the very simple application and check the steps in detail on the configuration part so that application got deployed smoothly. Spring boot project can be easily deployed in AWS using an AWS service called Elastic Beanstalk, which is a PaaS provided by AWS which can take care of provisioning and deploying our application in AWS with few clicks. Today we will not go the Elastic Beanstalk path, rather we will manually deploy the application using EC2 User data script to automate the environment setup and few more steps. Create one sample application, this could be any application, but for simplicity we will expose one simplest REST Api and deploy that in AWS EC2. Before starting the actual hands on part, let’s first familiar with the technologies we will use today. Hope that the readers who have reached this section of the article, those terminologies are known to you, still below are some bullet points regarding those. AWS – Amazon Web Service, it is the cloud offering from Amazon and currently very popular. Currently there are around 100 services available under AWS umbrella which covers many technical domains like IaaS, Paas, SaaS, Networking, Compute, Storage, Bigdata, Machine Learning, AI, etc. AWS currently the market leader in cloud offering domain and many companies are adopting AWS for cost effectiveness and other cloud parameters like easy scalability, High Availability, Fault Tolerance. AWS cost model is mostly pay per use, so customers have to pay only the services they have used based on the attributes of pricing for that service. EC2 - Elastic Compute Cloud is the AWS offering for Infrastructure as service (IaaS). It provides virtual servers in cloud which is very cost effective and highly customizable based on the demand. 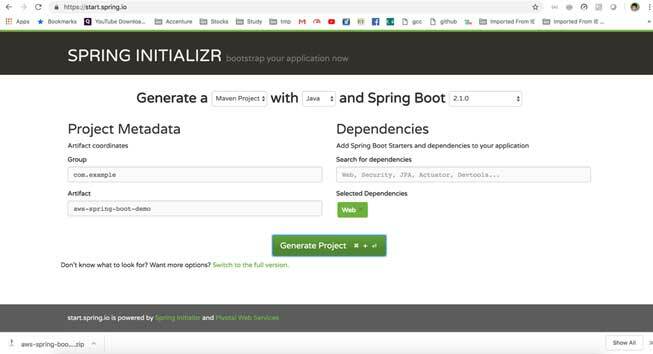 Spring Boot – Application framework based on Spring framework with lots of extra feature. Right now, one of the most popular framework for building web development specially Microservice. So now let’s start our hands on to proceed with the steps mentioned above. Go to https://start.spring.io/, generate one spring boot project skeleton by providing the Artifact id, Group ID and required dependencies, for our testing we need to just select web starter dependency. After entering all that information, we can generate the project using Generate Project button like below. Once we have downloaded the project, we need to unzip that in suitable location and import that project in eclipse or your favorite IDE as maven project. Now try one initial mvn clean install command on that project to ensure that all the spring boot related jars got downloaded properly. Now we need to test once this Rest Api to verify that everything is working as expected. To do that just run the application as spring boot application from eclipse by running the @SpringBootApplication annotated class present in the same package which is automatically got generated initially while we created the project in the earlier step. Once the application will run in local machine, it will by default run in 8080 port and access the below URL from browser, if everything goes well you should get response. As we have already highlighted at the beginning, we will not use Elastic Beanstalk to deploy the application in AWS, rather we will go with the conventional way to deploy the application manually by using one script that will be provided while we create the EC2 server. For this I have created one script in file EC2_USER_DATA.md placed in the home directory of the attached project. Below is the content of that file. In short it will do the following steps while creating the EC2 Server. Install required updates to the Ec2 operating system, so that we don’t face any OS related issue. Install Java 1.8 and httpd server in EC2. Give required permission to the newly copied application file. Now do the necessary changes in HTTP to redirect 80 port traffic to 8080 as our actual application will run in 8080 but from EC2 we will access that from port 80 externally. Then start the HTTP server as service, so that EC2 restart can again start the application automatically. Here is the User data script. User data is the textual script provided while creating Ec2 server, so that few things can be automated in the newly created server. Now we will deploy this application to AWS, to do that we first need to upload the deployable artifact to S3 from where the above-mentioned script will copy the jar and place in EC2 server. Make sure you create the bucket in ap-south-1 region in S3, as our user data script is written as per that only, if you create it in different region then please change the region in the User data script, otherwise Ec2 will not be able to copy the file. Now we need to create one IAM role for S3 which needs to assign to Ec2 server to access the S3 bucket that we have created earlier. This will enable Ec2 server user data script to copy the application executable jar file to EC2 directory for deployment. I am not mentioning it in details, AWS has very good documentation on this https://docs.databricks.com/administration-guide/cloud-configurations/aws/iam-roles.html Please follow and create once EC2 role for S3 read only access. Next prerequisite step is to open port 80 to outside world. This is kind of standard firewall open in networking terminology. 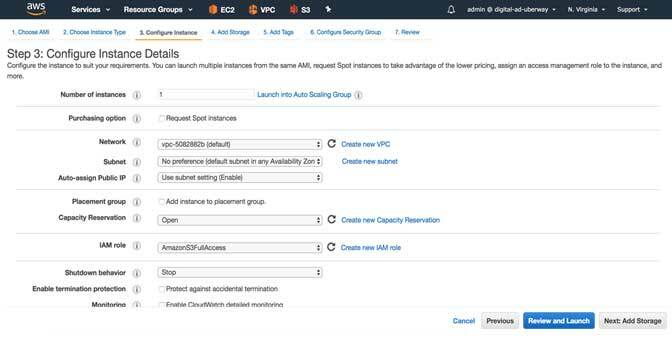 In AWS this can be achieved by creating/modifying one Security Group and assign to the EC2 instance. In security group, we should only expose the required ports to the outside world for security reason. For our scenario, we will only expose 80 and 22 for HTTP access and TCP access so that log in to the Ec2 instance through terminal and also access the web application from browser/REST client/another outside client application. AWS has very good documentations as well on how to create security group, you can follow the below links or any other links that are available online. Now we have completed the required prerequisite like unloading the jar file in S3 and creating security group to open port for access application and finally the Ec2 role for S3 access. Now in instance details page we need to select two important things, rest of the things you can keep as default like VPC, subnet etc. Then we need to paste the USER DATA in the Advance Details section. You can copy the whole code as motioned above/attached code base. As we had noted the IP/DNS of the server where the application has been deployed, we can easily access the application with this IP/DNS. Congratulations, if everything goes well you have now developed one sample spring boot REST web service and deployed in a single EC2 instance and able to access that application from outside AWS. 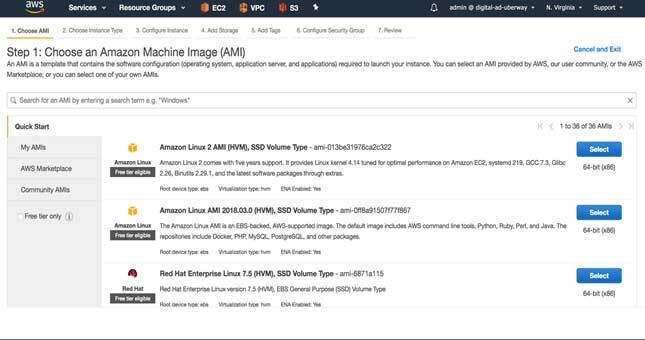 This is one way of deploying application to EC2, there are obvious other ways as well which we will see in next articles.